JOHANNES GUTENBERG UNIVERSITAET MAINZ—The transition from Late Antiquity to the Middle Ages in Europe is marked by two key events in European history, i.e., the fall of the Western Roman Empire and the migration into this Empire by various barbarian tribes such as the Goths, Alemanni, Franks, and Lombards. This resulted in a profound cultural and socioeconomic transformation throughout the continent, and many settlements from this epoch would subsequently develop into the villages and towns we still know today. An international team led by anthropologist Dr. Michaela Harbeck from the Bavarian State Collection for Anthropology and Palaeoanatomy (SAPM) and population geneticist Professor Joachim Burger of Johannes Gutenberg University Mainz (JGU) has now performed the first genomic analysis of populations that lived on the former territory of the Roman Empire in Bavaria, Germany, from around 500 AD and provided the first direct look at the complex population dynamics of what has popularly been known as the Migration Period, or “Völkerwanderung” in German. In addition to anthropologists from Mainz and Munich, the team also includes Dr. Krishna Veeramah, a population geneticist from Stony Brook University in the US, as well as colleagues from the United Kingdom and Switzerland. In an interdisciplinary study funded by the Volkswagen Foundation, the international research team analyzed the ancient genomes of almost 40 early medieval people from southern Germany. While most of the ancient Bavarians looked genetically like Central and Northern Europeans, one group of individuals had a very different and diverse genetic profile. Members of this group were particularly notable in that they were women whose skulls had been artificially deformed at birth. Such enigmatic deformations give the skull a characteristic tower shape and have been found in past populations from across the world and from different periods of time. “Parents wrapped their children’s heads with bandages for a few months after birth in order to achieve the desired head shape,” explained Dr. Michaela Harbeck. 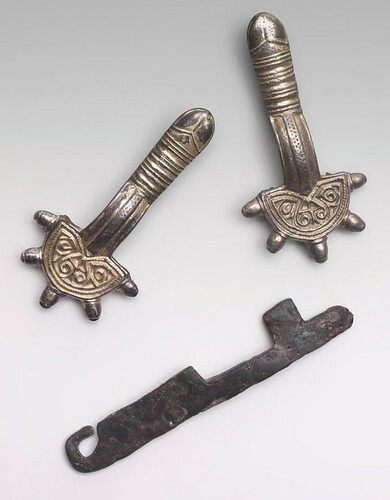 “It is difficult to answer why they carried out this elaborate process, but it was probably used to emulate a certain ideal of beauty or perhaps to indicate a group affiliation.” So far, scholars have only speculated about origins of the practice in medieval Europe. 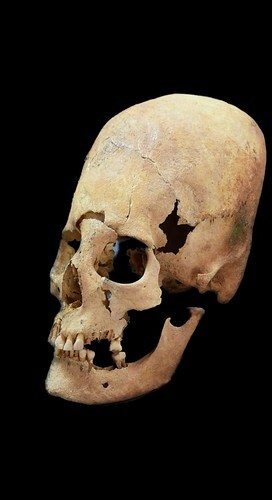 “The presence of these elongated skulls in parts of eastern Europe is most commonly attributed to the nomadic Huns, led by Atilla, during their invasion of the Roman Empire from Asia, but the appearance of these skulls in western Europe is more mysterious, as this was very much the fringes of their territory,” said Dr. Krishna Veeramah, first author of the study. 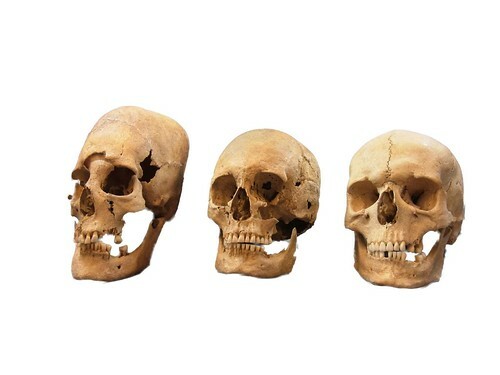 By analyzing DNA obtained from these elongated skulls, Professor Joachim Burger’s team revealed that these women likely migrated to early Bavarian settlements from eastern Europe. “Although there is evidence that there was some genetic contribution from Central Asia, the genomic analysis points to the fact that women with deformed skulls in this region are genetically most similar to today’s south eastern Europeans, and that the Huns likely played only a minor role in directly transmitting this tradition to Bavaria,” Burger noted. Besides their deformed skulls, these women also tended to have darker hair and eye color than the other Bavarians they were buried and probably lived with, who primarily had fair hair and blue eyes. Become a new Popular Archaeology premium subscriber.